Daniel Freudman is a barrister and solicitor with offices located in both midtown and downtown Toronto. He provides professional legal services to clients within the GTA and across Ontario, including Brampton, Scarborough, Oshawa, Newmarket, Milton, Orangeville and Hamilton. Daniel rigorously defends persons charged with a wide array of offences under the Criminal Code of Canada (CCC), Controlled Drugs and Substances Act (CDSA), Highway Traffic Act (HTA) and other provincial and federal legislation. 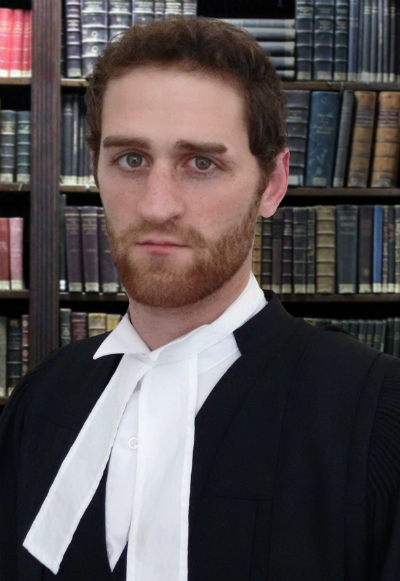 Daniel also represents individuals and small businesses involved in legal disputes, litigating actions in the Superior Court and Small Claims Court across the province. Daniel Freudman has a Bachelor of Laws (LLB) as well as an undergraduate degree in Commerce (BComm). He attended Bond University's Faculty of Law, one of Australia's highest-ranking law schools, and graduated with Honours. While in Australia, Daniel tutored criminal law, and worked at a civil litigation firm in downtown Sydney, specializing in Personal Injury claims. After graduating law school, Daniel returned to his hometown of Toronto, where he completed his Articles of Clerkship at a reputable and busy law firm practicing exclusively in criminal law. There, he gained invaluable experience working on murder cases, drug/gun project cases and other high profile matters. Following completion of his Articles, Daniel started up his own practice, Freudman Law, as he wished to manage his own client base and give each client the personal attention they deserve. Daniel was dissatisfied with the “big firm” practice of passing around files from associate to associate, with the clients seldom knowing who has present carriage of their case. At Freudman Law, Daniel has a carriage and intimate knowledge of each and every case, and provides clients with his personal cell phone number (647-771-2416) so they can reach him at any time to discuss their case or receive status updates. Daniel has conducted dozens of trials, both civil and criminal, in courthouses within the GTA and across Ontario. Daniel has appeared before the Ontario Court of Justice (both Criminal Division and Youth Court), the Ontario Superior Court of Justice (both Civil and Criminal), Small Claims Court and other tribunals. Daniel has also prepared and conducted appeals to the Divisional Court of Ontario, before both a single judge as well as a panel of judges. In his free time, Daniel enjoys travelling, kitesurfing, hockey and learning new languages. Daniel speaks conversational Spanish, but can also engage in basic pleasantries in several other languages, including German, Hebrew, Mandarin, Italian and Polish. Daniel continues to develop his Spanish vocabulary and is also presently learning Russian through audiobooks.